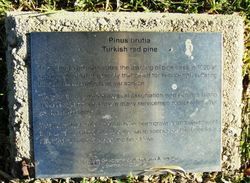 A plaque commemorates the planting of pine trees and the Lemnos Hospital in 1926. The Lemnos Hospital was a hospital specifically built to service the needs of returned servicemen from World War One who were suffering from mental illness and shell shock. The Aleppo pine tree (Pinus halepensis), believed to have been grown from a seed from the trees on the island of Lemnos, is a reminder of the origins of the hospital and is a tribute to those who served during World War One. The Hospital was officially opened on 12 July 1926 by Governor Sir William Campion. It was named after the island in the Aegean Sea used as a Hospital during World War One. It was designed with the intention of providing a home rather than an institution for returned service men, and in this respect reflected the contemporary attitude towards hospital design in the 1920s. 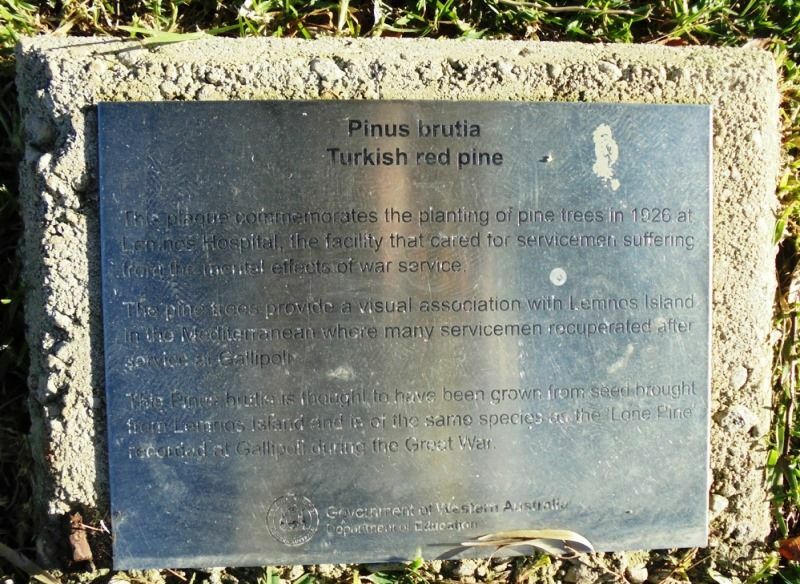 This plaque commemorates the planting of pine trees in 1926 at Lemnos Hospital, the facility that cared for servicemen suffering from the mental effects of war service. The pine tree provide a visual association with Lemnos Island in the Mediterranean where many servicemen recuperated after service at Gallipoli. 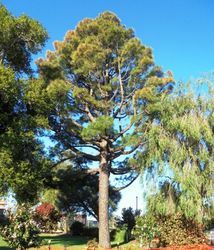 The pine tree is thought to have been grown from seed brought from Lemnos Island and is of the same species as the Lone Pine recorded at Gallipoli during the Great War.